You get up in the morning, go through tons of traffic, park your car for eight or nine hours and then you travel back and jump in your waiting car. What a waste! Did you ever think, you could be making money in those eight to nine hours? Think about it for a minute. While you are at work your car could be working for you. How do you do that? Rent out your car! Yes, people are doing something crazy, they are renting out their cars. And a number of people are claiming they are making an extra $800 a month by doing this. Let me introduce you to the wonderful world of car-sharing. 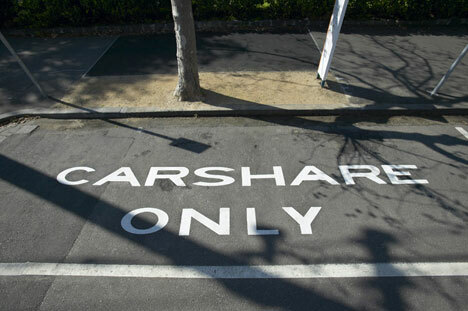 Others call it "peer to peer car sharing." Basically, it's the concept of people allowing other people to use their cars during times that they will not be using the vehicle. In one recent article, one man bought several cars and is currently using car-sharing sites to rent them all out, creating what he calls a "living wage" just by renting out his vehicles. 1. List your car at one of the car-sharing sites listed below. TIP: The more time you put into your profile, the better chances of someone renting it out. 2. A driver will contact the site and put in a reservation for your car. You are notified of the potential reservation and you can approve it or reject it. 3. Either meet the driver and give them the keys, or elect to put a device (the peer-to-peer car sharing site will give you this) into the car that allows them entrance into your car with the swipe of a card or their smartphone. The peer-to-peer car sharing sites usually: pre-screens drivers and provide liability insurance and sometimes road service. Most car-sharing sites require that your car be no more than 12 years old and have no more than 100,000 miles on the car. But you should check the Terms of Service and read the FAQs carefully to find out if your car qualifies to be shared. JustShareIt.com -- Drivers are given DMV & background checks. One million dollar insurance and ticket protection. Private Sharing Option where you can rent to a select group of people and 24/7 customer service. Roadside Assistance and keyless entry device with GPS tracking. RelayRides.com - Onstar's baby. They claim you can earn up to $1,000 a month. They also have $1 million insurance and provide driver screening (through DMV and Background Checks). You are 75% of your rental price and you get to pick your rental price. Getaround.com -- You get to pick your rate and this site pays you 60% of the rate you set. The other 40% is to cover 24/7 roadside service, liability insurance. Renters are paid once a month. For more information you should read their entire Car Owner Guide. Wheelz -- California car sharing service. You need to download their iPhone or Android app. They give you a drivebox (allows keyless entry into the car, secure/lock the car and GPS tracking). Software tracks car usage and at the end of the month your rental fees are deposited directly to you. I hope it's becoming very clear to you that there are many ways to make extra cash utilizing all your assets. If there are any car-sharing websites that I have not mentioned in this article, please do not hesitate to inform us of other car-sharing opportunities out there! Leave a comment below.